The Managing Director of the International Monetary Fud (IMF) Christine Lagarde said on Saturday that the Egyptian economy has good potential for growth, praising the fundamental financial and monetary reforms the government has implemented. In a meeting with Egypt’s Finance Minister Mohamed Maait on the sidelines of the fourth annual forum of the Arab Monetary Fund in Dubai, Lagarde added the government’s reforms have placed the economy on the right track and protected the country from a risky and gloomy future. On Tuesday, Egypt received the fifth tranche of the IMF’s $12 billion loan following the IMF’s executive board approval of its fourth review of Egypt’s economic reform programme. 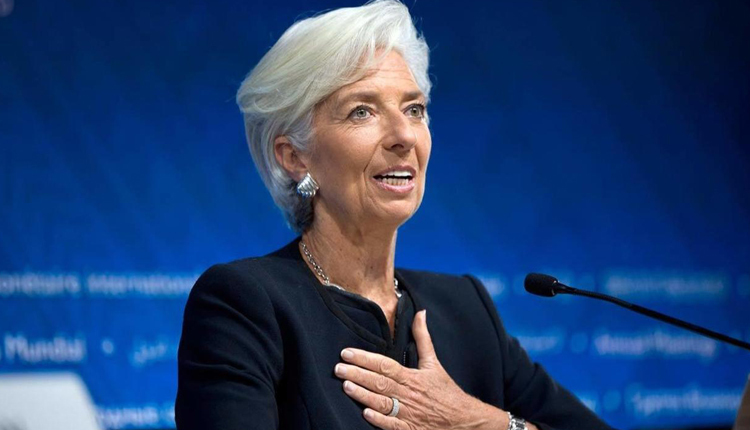 Lagarde explained that she understood that the reforms had affected the middle class in the country and that the economic potentials should concentrate on this class in the coming period. For his part, Maait said that the government acknowledges the fact that more efforts should be exerted to ensure the sustainability of the reforms, adding that the government pays great attention to investment in human resources.